You don’t have ingredients to waste, time to train, or money to burn. Your equipment has to work perfectly, every time. Because each plate that leaves your kitchen and every drink you pour has your name on it. And when your reputation is on the line, you need the very best working right there beside you. 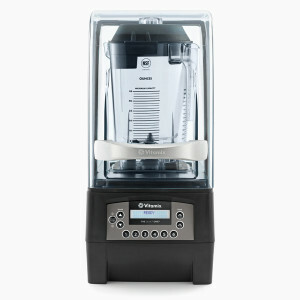 Vitamix Commercial will be there for you. A Strong Investment: They knows about long hours. This is one piece of equipment that will be with you for the long haul—meet the blenders that can take whatever you dish out. Make Your Job Easier: Intuitive controls mean less time spent training. Faster blends mean improved speed of service and happy repeat customers. Time is money. Unleash Your Creativity: Vitamix blenders can perform at least 12 culinary techniques (but they’re sure you can find a few more). With that kind of precision, you can explore every texture, every ingredient, every temperature, in a single machine. Power to Dream: Their powerful motors thrive in food and beverage operations. They have the ability to make everything from whole-fruit smoothies to freshly ground spices. Where will their horsepower take you? Only the Best: Is Vitamix the most-loved appliance in professional kitchens? Maybe—but don’t take their word for it. See what your colleagues are saying about their Vitamix machines and why they’ve been voted Best-In-Class for seven years running. When the world’s largest coffee chain needed a blender that would consistently produce the same quality blends across 17,000 locations, while maintaining a quiet atmosphere, Vitamix softly responded with The Quiet One. The Quiet One has a magnetically secured sound enclosure in addition to other patented technology to drastically reduce blending noise. It is four times quieter than any other commercial blender to maintain tranquil atmosphere and pleasant customer experience. With 6 optimized programs, more than 30 available settings, and automatic shut-off, create consistent, high-quality blends while you take the next request.